With heavy rain on the way, New Hampshire environmental and homeland security officials are warning about ice jams. Heavy rain is in the forecast for Friday. In recent years, New Hampshire has had extended periods of subfreezing weather, followed by large, rapid warm-ups and rainstorms. 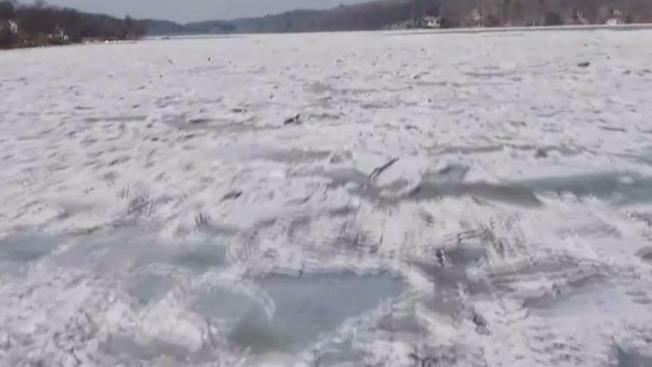 The events have led to the breakup of ice on rivers into large chunks that flow downstream, then quickly freeze in place when temperatures plunge again. The ice jams have led to flooding behind them. As water backs up behind a jam, flooding can occur rapidly, damaging property, inundating roads and leaving people cut off. Officials in Franconia say that in 2016, ice jams caused the flooding of a road, leaving home access cut off and one home flooded.